URBAN cable car projects have been given a boost across France with a legal change meaning property owners on the ‘flight path’ can no longer veto transport schemes judged to be in the public interest. Previously, projects needed individual permissions for ‘over-fly’ rights. Now projects deemed to be in the public interest can pass above private properties without permission, with the proviso that any structures must be at least 10 metres above buildings. This will allow more towns to copy the example of Grenoble, which in 1934 opened the world’s first urban cable car with a link from the city centre to La Bastille fortress. That link was upgraded 30 years ago this September when the now-celebrated “bubbles” were installed to become a noted tourist attraction. However, tourists are not the aim for councils who are looking at installing cable cars téléphériques to meet vital public transport needs. France has the most, the biggest, one of the highest and the most modern cable cars in the world but they are nearly all in the mountains where they take tourists and skiers into otherwise inaccessible areas. Now their future lies in crowded cities where they are being heralded as a solution to overloaded urban transport systems. One is set to open in Brest in Brittany this autumn and will be part of the public transport system, using the same tickets. Planners hope it will revitalise a rundown area badly affected by traffic jams. It is typical of the new ‘green’ view being taken of cable cars – avoiding extra traffic and allowing people to travel quicker and with less pollution. The Capucins-Siam cars will link an old naval site which is being developed both for housing and as a business centre and the rest of the town on the other side of the Penfeld river. Its €19million cost is half that of a bridge and it was chosen as there are already two bridges nearby but they are at saturation point. In Toulouse, the city hopes to link the university and two hospitals via a 2.6km route. Work will start at the end of 2018 to link the three stations of the Paul Sabatier University, Rangueil hospital and the Oncopole cancer centre. A journey which takes 30 minutes by car will be cut to 10 minutes. In Paris and Ile-de-France there are at least three projects with the most ambitious being a 6km journey between Boulogne-Billancourt and Vélizy-Villacoublay designed to link metro, tram and bus lines and to relieve traffic congestion. It could carry 8,000 people every hour. 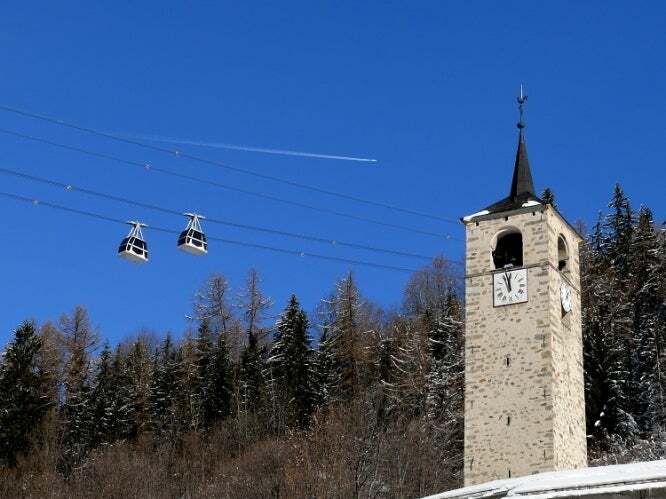 Orléans plans an aerial tramway to open up a new estate with 3,000 houses plus up to 300,000m2 of offices, and a cable car planned from a new transport hub at Nice Airport will link to a suburb and access a shopping mall. Grenoble, too, is planning more cable cars with a scheme for a 3.7km line from Fontaine, under the Vercors mountain range and across the river valley to Saint-Martin-le-Vinoux, at the foot of the Chartreuse. 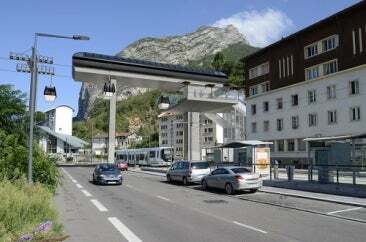 The Grenoble Métrocab would open up new possibilities for housing and leisure without increasing traffic in a city that already has pollution problems due to its position at the junction of three valleys. There have also been studies carried out for projects in Saint-Brieuc, Marseille, Saint-Etienne, Créteil outside Paris and Parc Astérix in the Oise among others. These schemes may be eased by the law change at the end of 2015, which removed the need for urban cable car projects to get permission from property owners to use the space above their homes or businesses. Moving goods and people along cables began in France more than 100 years ago and grew with tourism. First carrying building materials into the mountains to build hotels, they have been developed to help make France the world No1 ski destination, which would not be possible otherwise. This has the highest vertical ascent in the world starting at Chamonix up to a height of 3,777m in 20 minutes. The first section is to Plan de l’Aiguille and then a second car direct to the upper station with no central pillar. From there a lift goes to the top at 3,842m. It turned 60 last year and offers breath-taking views of the French, Swiss and Italian Alps. Plus it gets you as close as you can to Mont Blanc without mountaineering. It attracts 500,000 visitors a year and that means there will be queues in summer. Tickets are €58.50 per adult and a family ticket (two adults, two children) is €175. This link cost €15m to build when it opened in 2004 and it is still the world’s biggest cable car with each of its two double decker cabins capable of carrying 200 passengers. It is also one of the fastest, travelling at 45kph and linking the two ski resorts of Peisey-Vallandry/Les Arcs and La Plagne. A stunning ride, its partially transparent floor offers passengers a 360° view of the picturesque Ponthurin valley with a unique panorama of Mont Blanc, the Swiss and Italian Alps and the Beaufortain massif. The journey takes just under four minutes. Technical manager Christian Vibert said it was designed to be efficient with two floors and double doors for easy access. This allows as many skiers as possible to travel between the different slopes and should let them spend a week in the resort without ever skiing in the same place twice. It can carry 2,000 people an hour in each direction. The Vanoise Express is open all year and costs €13. 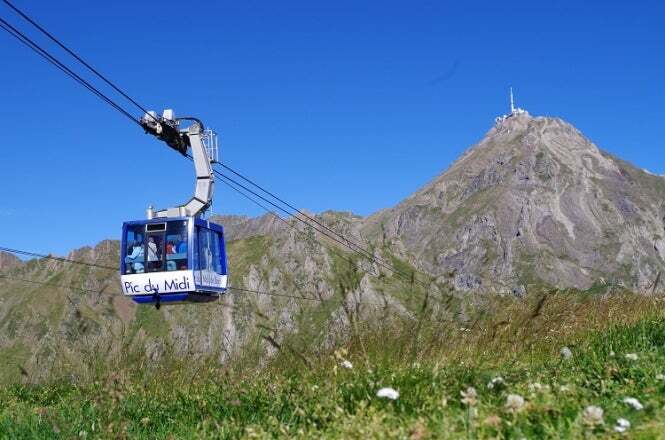 Giving access to the highest inhabited location in the Pyrenees, the cable car takes you to the internationally renowned observatory, from where a clear-day view allows you to see one tenth of France. The journey lasts 15 minutes with 45 people per cabin. At peak season there can be 2,500 people there a day. There is a hotel for 15 guests at a time so you can stay and observe the night sky and there are several star-watching evenings organised during the year where the purity of the air offers an exceptional quality of observation both for the sky and the landscape. Around 25-40 people live at the top all year round, including scientists, technicians, cooks and administrative staff. The cable car opened in 1952 and replaced a hazardous trip up a steep and rocky path. It is essential for transporting supplies and there is a concealed 1500-litre reservoir under each cabin to take water to the top. A return ticket is €36 and includes a visit to the museum.